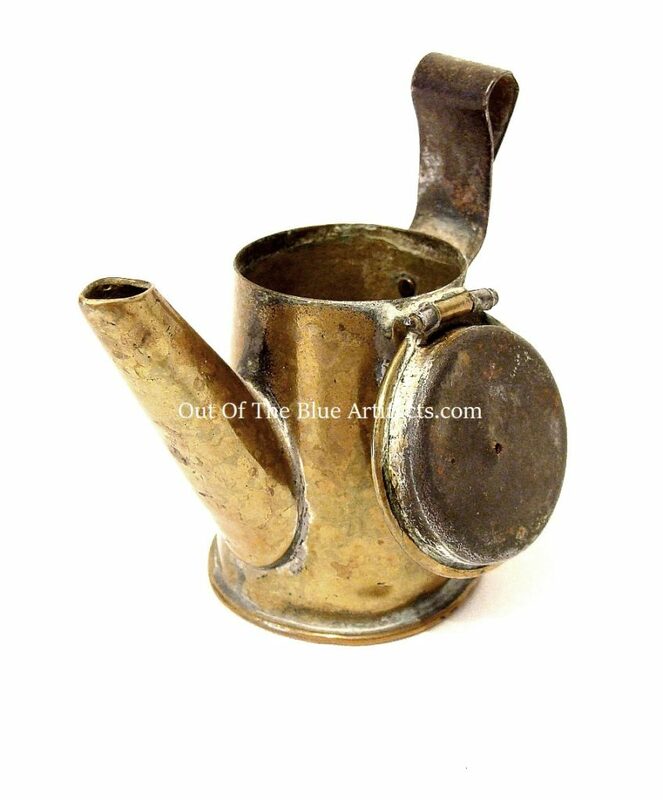 A Miners “Teapot” Oil Cap Lamp. 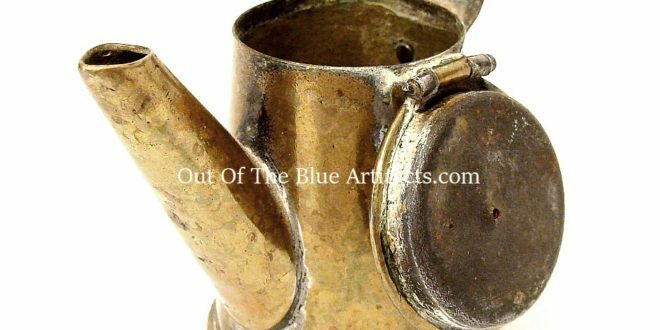 A Miners Teapot Oil Cap Lamp. 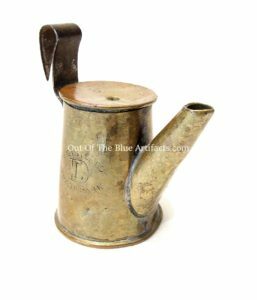 Made of Brass with a cap lamp hook and hinged lid, it would have been filled with oil and a wick inserted into the spout. The makers mark is “D.L.” Used mostly in the Scottish coalfields. Used in the early part of the 20th century. Size 2″ x 1 1/2″ inches.